The Stock Market Averages Wall Chart features data portraying the broad panorama of stock trends over the past 5 decades. You can also Customize The 50-Year Stock Composite Chart with your Organization’s Logo or Message! 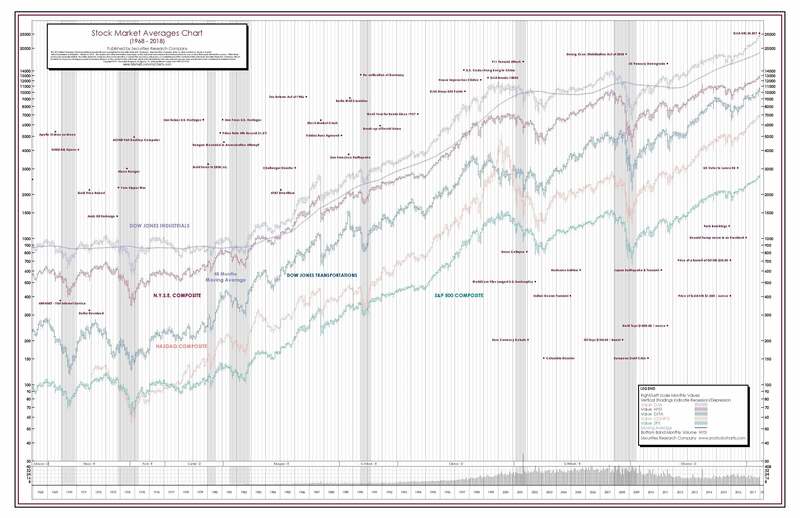 You’ll find SRC’s 50-Year Stock Composite Chart an indispensable tool for meetings, conferences, group discussions, or for your own personal use, making it easy to identify data and to spot trends and critical turning points.